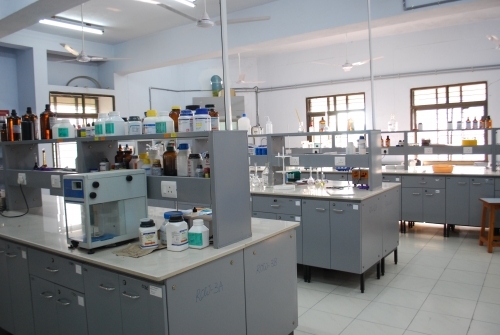 IIIT Hyderabad is structured around research centers and labs as opposed to schools and departments. Each research center focuses on a broad problem area and brings together experts possibly with varied background to conduct research and development on specific aspects of that problem area, constantly pushing the science to the next level. The current Research Centers and Laboratories are listed below based on their research focus on technologies and domains. There are also domain centers which make use of technologies in typically unusual domains in innovative ways. 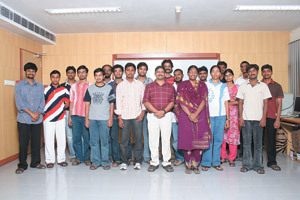 Kohli Center on Intelligent Systems (KCIS) was established at International Institute of Information Technology, Hyderabad (IIIT Hyderabad) in 2015 with funding from Tata Consultancy Services (TCS) to give a fillip to research, teaching and entrepreneurship in the broad Intelligent Systems area. SPCRC was set up in 2003 with the goal of undertaking fundamental research in signal processing and communication engineering. Research, at theoretical and applied levels, is conducted in this center. Funding sources have included MCIT, DST, GE Global Research, Bangalore etc. The LTRC addresses the complex problem of understanding and processing natural languages in both speech and text modes. LTRC conducts research on both basic and applied aspects of language technology. It is the largest academic centre of speech and language technology in India. LTRC carries out its work through four labs, which work in synergy with each other. LTRC is also a lead participant in nation-wide mission-mode consortia projects to develop deployable technology in the areas of Indian Language Machine Translation, English to Indian Language Machine Translation, and Cross Language Information Access (search engines). The NLP-MT lab does fundamental work on developing grammatical as well statistical modelling of languages. Linguistic approaches are combined with machine learning techniques leading to new theories and technology development. This has resulted in higher accuracy parts-of-speech taggers, chunkers, constraint-based parsers as well as broad coverage statistical parsers, and semantic analyzers for Indian languages on the one hand, and annotated data including dependency tree banks, discourse banks, parallel corpora, etc. on the other. Anusaaraka lab is concerned with the development of machine translation systems which in addition to the usual machine translation output also allows a user to understand the source language text in a pseudo target language. For example, a reader who knows Hindi (target language) would be able to read the English source text, in a pseudo Hindi output after a small amount of training. The Lab focuses on solving research problems in the areas of Information Retrieval and Extraction using NLP techniques. SIEL is engaged in building technologies for personalized, customizable and highly relevant information retrieval (IR), Information Extraction (IE) and Information Access (IA) systems. Current research includes summarization, cross language information access systems and building semantic search engines by identifying entities and relations between these entities. The research focus of the speech group is to address issues in processing, analyzing, understanding and manipulation of “real” speech i.e., read, conversational, emotional as found in real-environments for the development of robust speech systems in multiple languages specifically in the context of India. The speech group is also focused on development of speech recognition, speech synthesis, prosody models, spoken audio search, phonetic engine for Indian languages, language identification, speaker recognition for biometrics, voice conversion, speech summarization and spoken dialog systems. 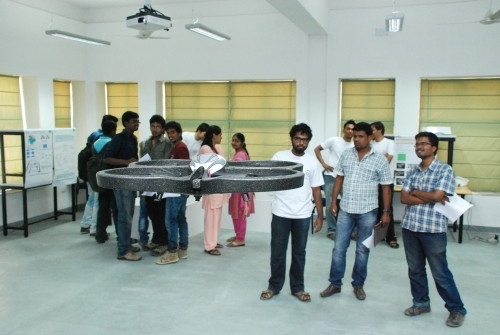 The IIIT-H Robotics Research Lab works on research problems and innovative projects that extend the state-of-the-art in robotics. The center has worked in multiple domains of robotics involving Multi-robotic systems, Mobile robot navigation and planning, Mechanism design of All Terrain Vehicles and Robot Vision. The lab is well equipped with robot platforms and advanced sensors and has been publishing in top international conferences like ICRA, IROS, ICCV, AAMAS. The center is being and has been funded by various organizations both private, public and government. 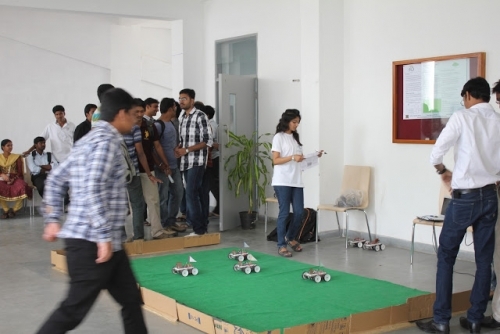 These include BARC, CAIR, Renault-Nissan, CVRDE, DRDO, DST, DIT and by IIIT Seed Grants The Robotics Research Center also collaborates with well known organizations and research labs such as CAIR, Bengaluru and BARC, Mumbai. Resources and Infrastructure: The lab is equipped with various robot test beds that are used in the research. These include ground robots like the pioneer P3-DX, the all terrain P3-AT along with the aerial robots like the parrot and the pelican. Along with these robots it is also equipped with a wide range of cameras and sensors. Mobile Robotics: Localization, mapping and navigation of robots in indoors and outdoor environments. Robot Mechanisms: Mechanical design and analysis of all-terrain vehicles. Multi Robots: Exploration and localization using multiple robots. Robotic Vision: Vision Processing algorithms for localization, mapping and classification. The goal of the center is to do research in information security, theory and algorithms. It also participates in teaching various programmes of the Institute by offering various mandatory and elective courses in the areas of theoretical computer science and information security. Software engineering is the engineering of large and complex software systems. It focuses on systematic, disciplined, quantifiable approach to the development, operation, and maintenance of quality software, and the study of these approaches. SERC aims to lead the software engineering research in India by addressing India-specific issues in an industry-driven environment. The main objectives of SERC are to focus on software engineering research, research in software engineering issues in the context of Indian software industry, operate closely with the industry by establishing touch points and to be a center of excellence driven by the industry for the industry. Some of the major funded projects are state variable approach to the model-driven development of software for reactive systems (funded by SIEMENS), virtual Labs Integration (funded by MHRD), standardization of mobile interfaces (funded by CA Technologies) and big data analytics on the cloud (funded by CA Technologies). CVIT focuses on basic and advanced research in image processing, computer vision, computer graphics and machine learning. This center deals with the generation, processing, and understanding of primarily visual data as well as with the techniques and tools required doing so efficiently. 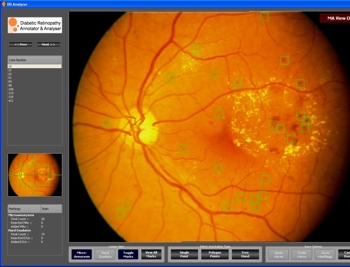 The activity of this center overlaps the traditional areas of Computer Vision, Image Processing, Computer Graphics, Pattern Recognition and Machine Learning. CVIT works on both theoretical as well as practical aspects of visual information processing. Center aims to keep the right balance between the cutting edge academic research and impactful applied research. Research projects are funded by various agencies like- Department of Science and Technology (DST), Naval Research Board (NRB), Ministry of Communications and Information Technology (MCIT), Defence Research and Development Organisation (DRDO), General Electric (GE), Nvidia and many more. CVIT has around 50 students carrying out research for M.S. and Ph.D. degrees. The center has regular visits and talks by leading researchers in the world. 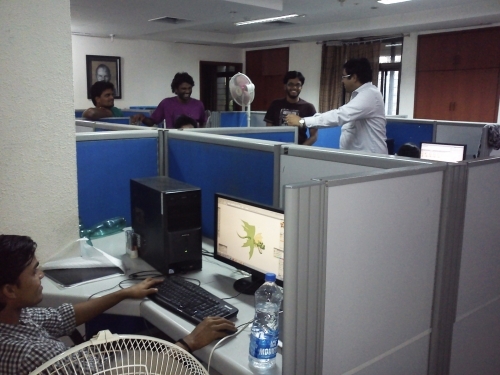 The Center works in close collaboration with organizations such as Xilinx, Altera, Intel Corporation, DRDO etc. The center has three labs under its supervision - VLSI CAD Lab comprising of state-of-the-art VLSI CAD tools like CADENCE tools suite - Embedded Systems Lab-1 equipped with ARM Processor kits, ATMEGA8 and ATMEGA32 boards - Embedded Systems Lab-2 equipped with Altera FPGA Boards, TI Mixed Signal System Development kit, Intel Atom Processor boards. The facilities are available for all Institute staff and students who would like to participate in VLSI R&D activity. 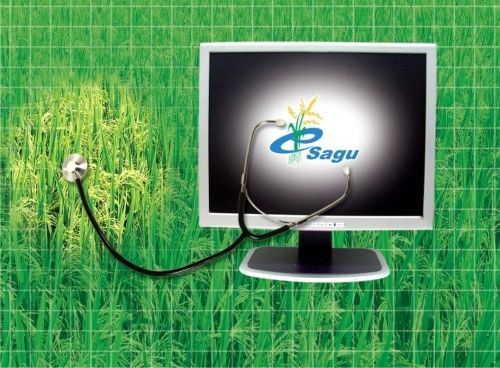 The center investigates how information technologies can improve services related to agriculture. We are building IT-based scalable systems to deliver personalized, location-specific, actionable agricultural information to poor and marginal farmers. CBS collaborates with various institutes such as IIT Bombay, IIM Ahmedabad, MNIT Jaipur, CEPT Ahmedabad and CSR Auroville in national level and International institutes such as Lawrence Berkeley National Laboratory (LBNL), Oak Ridge National Laboratory (ORNL), Carnegie Millan University (CMU), University of California Berkeley, and Lighting Research Center ofRensselaer Polytechnic Institute. 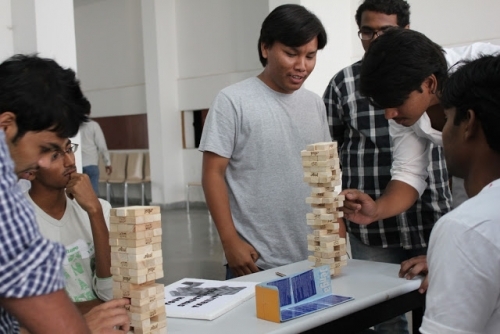 CBS will be hosting the 14th version of the International Building Simulation Conference of IBPSA, which will be hosted for the first time in India. The conference is expected to have a participation of over 600 Researchers and Scientist in the area of Building Performance around the world. Currently CBS has two major groups working on Building Simulation and Building Automation. State of the art labs are been planned for Fault Detection and Diagnostics, Daylight control test Bed. Some of the major research projects of CBS are Center for Building Energy Research and Development funded by DST and US DOE, Cool Roof Calculator funded by Climate Works Foundation, Earth Cooling System Monitoring in Pantanagar and Nanital funded by US DOE, Cool Roof Monitoring in Satyam Learning Center Hyderabad funded by US DOE, Smart Classrooms by NOKIA, and Monitoring of Distributed Transformers funded by Central Power Research Institute. Cognitive Science is an interdisciplinary approach to study mind and behaviour by embracing artificial intelligence, psychology, neuroscience, linguistics, philosophy, and anthropology. Cognitive science is playing an increasingly important role in many areas of engineering and technology like usability engineering, creativity-support systems, cognition and communication assistive systems, brain-computer interfaces, serious games, and so on. We offer a PhD program in Cognitive Science. Students in the B.Tech, M.Tech, MS and PhD programs in CSE or ECE can also do a thesis in Cognitive Science. We have state-of-the-art infrastructural facilities like Tobii Eye Tracker, Emotiv EEG, physiology monitoring devices from BioNomadix and Thought Technology. 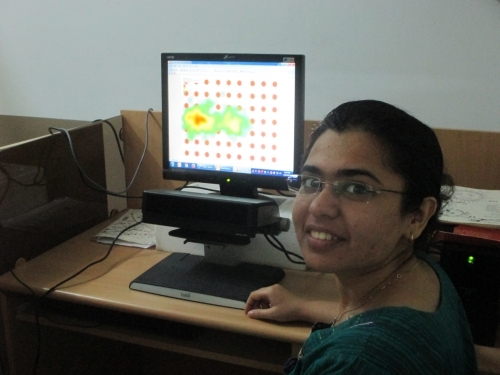 Ever increasing computational power and recent advances in computer science, in fields of distributed computing, networking and database management, have inspired the center to explore the application of these newer technologies and methods to understand the functioning of complex physical, chemical and biological systems. The center has 12 faculty (8 full time and 4 adjunct faculty), about 25 research students and about 50 undergraduate students associated with it. Several earthquakes in the last two decades caused enormous loss of life and damage to property. These events are ravaging nations leaving behind countless victims. Pre-disaster planning i.e., mitigation and preparedness can have a good impact on minimizing the post-disaster response i.e., emergency, rescue and rehabilitation. The vision of this center is to become a national center for research in Earthquake Engineering. The aim is to give technical solutions for design of new structures and retrofit existing structures. In addition to these, EERC has been working towards earthquake awareness and preparedness of schools and communities, and capacity building of technical personnel in government and private organizations. This is done through lectures for administrators and school children, short-term courses for practicing architects, engineers and faculty members on regular basis. Currently the center is running 9 projects. 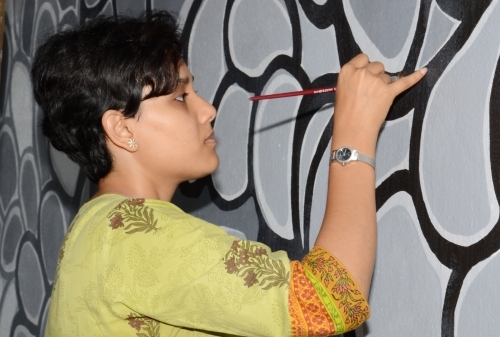 Total funding from these projects is around Rs.450 lakhs. Funding is from JICA, DST, MoES, GSDMA, AICTE, MHRD and Governments of Andhra Pradesh and Maharastra; organized 5 National level workshops and 10 seminars; published over 100 research papers in last 5 years; organized 30 short-courses of 3-5 days duration and trained till now around 600 engineers on earthquake resistant design of structures; Center has state-of-the-art vibrations sensors. 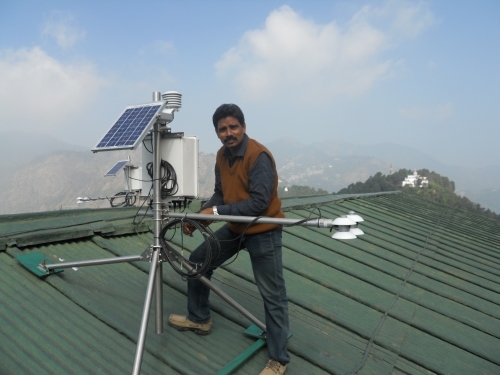 Part of a twelve member consortium project is being funded by MHRD and Government of India. More than thirty-five labs in four disciplines are being supported. Augmentative and alternative communication systems for children with autism on mobile devices. The center is primarily devoted to fundamental research in Humanities and aims to conduct de-novo research in understanding human elements and human society. Such research would engage in inter-disciplinary inquiry spanning varied domains of human knowledge and imagination. Looking beyond contemporary boundaries of knowledge, we seek to draw insights from the Indian analytical traditions as well as from modern theoretical activities. 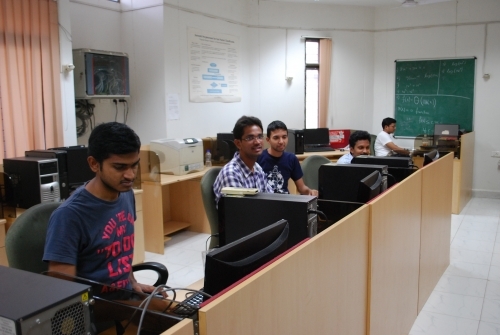 Further, our research environment is in close proximity with research activities in computer science and ICT. The center is actively involved in the research and development of Learning by Doing education methodology, content and faculty training programs for the Rajiv Gandhi University of Knowledge Technologies, 21st Century Gurukulam, MSIT programme and EnhanceEdu. EnhanceEdu, a division of IIIT, works towards empowering individuals and communities by enhancing the quality of education. To realize this goal we have come up with a framework which involves training faculty members of engineering colleges though our Teacher Training Program (TTP), training students at engineering colleges through Certificate in Information Technology (CIT) course and conducting workshops on current and needed topics. EnhanceEdu is also involved in developing content using Learning by Doing (LBD) methodology, building tools and frameworks for improved productivity and efficiency, providing technological services to engineering colleges, government organizations and industry through collaborations with their faculty and employees. The science that deals with the study of how location in space and time characterize or influence an object, event or phenomena is referred to as Spatial or Geospatial Sciences. It is a multi-disciplinary field that encompasses a wide range of disciplines ranging from geography to business intelligence, natural resource management to global environmental change. The suite of technologies that encompass this rapidly growing discipline of knowledge include data collection (GPS based field surveys, satellite imagery, etc. 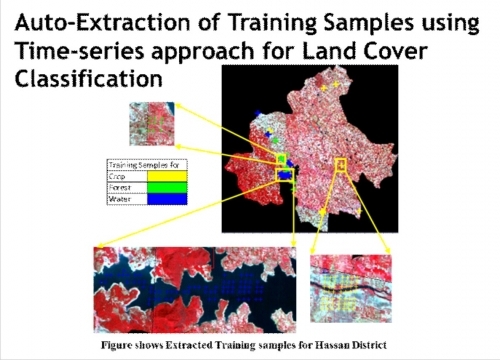 ), data storage and management (GeoDB, spatial data mining), processing and manipulation (satellite image processing), mapping and visualization, data analysis (Geospatial Information Systems), simulation and modelling. This is the only centre/group of its kind in India promoting GeoSpatial Research efforts at both system and applied levels since 2006 (and has gained recognition for the same in India and outside). 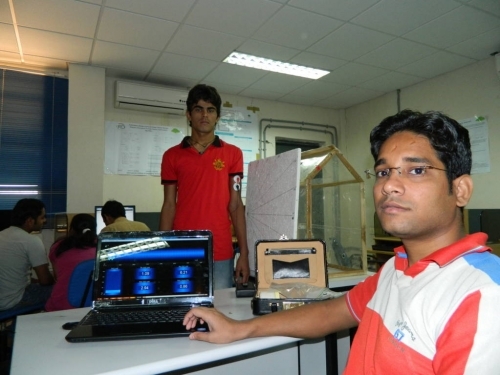 The lab is unique in providing a right platform for students from a range of disciplines - computer science, civil engineering, environmental science, agriculture, ecology and other domain areas to interact and work on problems that need a multi-disciplinary approach. The centre has led about 20 technology development and application projects funded by Government and Industry, and been active in curricular/academic matters of other Universities and Institutes in the country. Some of the major achievements of the Lab in addition to the research outputs are the development of VRGeo.in, a collaborative mapping platform on CDAC's cloud; LSIViewer, an open source tool for enterprise and online geo-service to visualize geospatial data; mentoring of Institute team to win First and third places at the international CANSAT 2010 and 2011 competitions; and successful conduct of the first FOSS4G-INDIA in 2012. Governance signifies the processes and actions that a government exercises over its citizens. e-Government is the utilization of ICT at various stages of these processes. e-Government initiatives seek to play a transformative role and try to provide an efficient and resource-effective means for a government to engage with it’s citizens. While e-Governance as a concept and a philosophy appears to present few problems in gaining acceptance and understanding, in its manifestation as a tool and as a practice, it appears rather tentative and experimental. There is something of the kaleidoscopic in much of what pervades the domain of e-Government – with even the smallest shifts in stakeholder positions and interests producing new patterns of behaviour and outcome. This then has been challenge for practitioners of e-Governance – this need for making sense out of the complexity which surround large scale transformations [which is often what e-Government initiatives are all about] and preparing suitable behavioural and technological responses to it. Before e-Government initiatives are able to produce more lasting and more balanced set of benefits to all stakeholders with greater degree of predictability, e-Governance knowledge base has to considerably strengthened. The Research Center for e-Governance [RCEG] of IIIT-H aims to be at the frontier of research into how the forces of ICT and the philosophies and practice of governance interact and shape each other. Being situated amidst other research centers of IIIT-H - which too are renowned for their cutting edge knowledge advancement in the areas of signals, security, natural languages, open source, exact humanities etc - and being able to collaborate with them actively, RCEG holds a special vantage point from which to conduct and promote research on various aspects of e-Governance – whether technological or social. Through its research, RCEG aims to further value based e-Governance. By values, it is implied a balanced approach where cutting edge technological prowess of ICT in all of its manifestations in cryptography, machine learning etc is harnessed through considerations for culture and humanities, and promoted in a spirit of openness and freedom. As the host of the Computer Society of India - Nihilent e-Governance Awards and having helped study over 1,000 of the best e-Governance initiatives in India, the research center is supported by a team of experts which embodies one of the richest sources of knowledge of e-Governance anywhere in the World. The think tank meetings of RCEG too serves as a focal point for regular, formal gathering for these remarkable personalities. The Centre for Innovation and Entrepreneurship (CIE) facilitates IP management and entrepreneurship development at the institute. With cutting-edge research being conducted at the institute’s 24 centres, there is an increasing need for exposure of these technologies to the market for creating social impact. Such technologies are commercialized through both technology licensing as well as technology transfers. The CIE plays a role along the entire process from identifying technologies, packaging them and supporting the beneficiaries in customer development. Beneficiaries vary from large industry players to sole entrepreneurs, and engagement models include equity participation, royalty and upfront payments. Additionally, the centre manages the institute’s IP portfolio, continually identifying and managing patents, copyrights and other Intellectual Property belonging to the institute. The CIE conducts courses such as the Technology Entrepreneurship (TE) elective for students with an entrepreneurial bent of mind. The objective of such courses is to drive IP-based technology companies and build towards a knowledge economy. The TE is an increasingly popular course where students learn and understand the broader context of building products beyond research and engineering aspects. The centre also facilitates student projects and internships with startups to help them get a real-world experience of the exhilarating pace and action that goes with working at a startup. Events are regularly organized for the student community to draw inspiration from successful alums as well as external entrepreneurs. The format varies from startup crawls, to guest talks and weekend hackathons. The open-software development model (using collaborative versioning and issue tracking software) has resulted in high-quality software all over the world. This model can be used profitably within the Institute for all kinds of projects ranging from research projects to large programming assignments. Moreover, each research center in the Institute produces software both as final deliverables and also for its internal use in order to support its research. If packaged properly as open software these can be used by end-users and other research labs all over the world. The center motivates and supports students for contests such as the Google Summer of Code and ACM ICPC. IIIT-H teams have been consistently qualifying for the ACM ICPC World Finals every year. 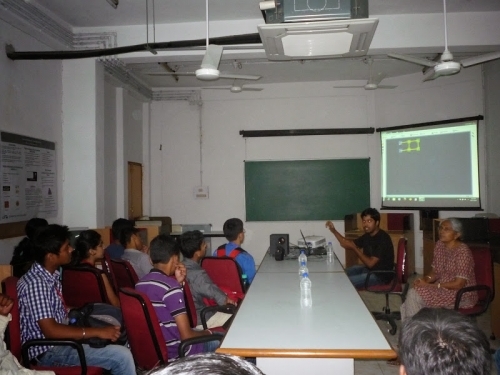 The center also organizes and helps host FOSS events, seminars and workshops to promote awareness in open software. Hosting the Open Source Geospatial Foundation of India (OSGeo-India), a National NPO for FOSS and GIS. Review of Open Technology Center (OTC) of NIC for DeITy, Govt. of India.